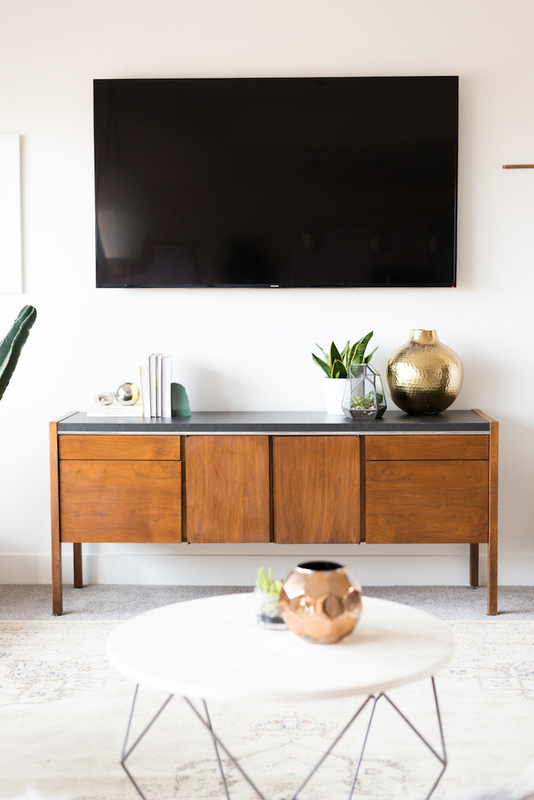 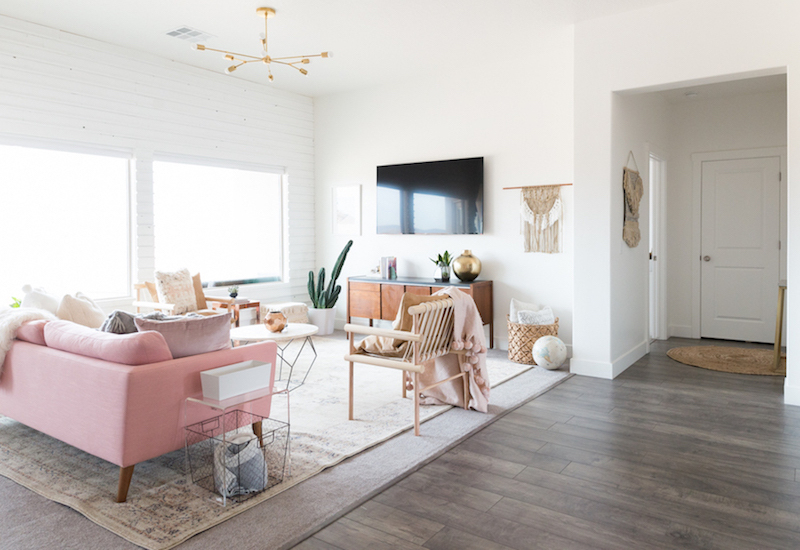 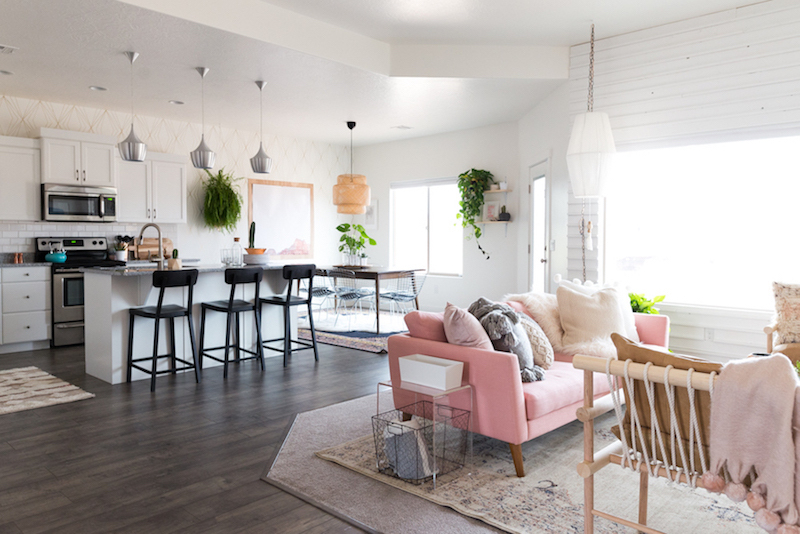 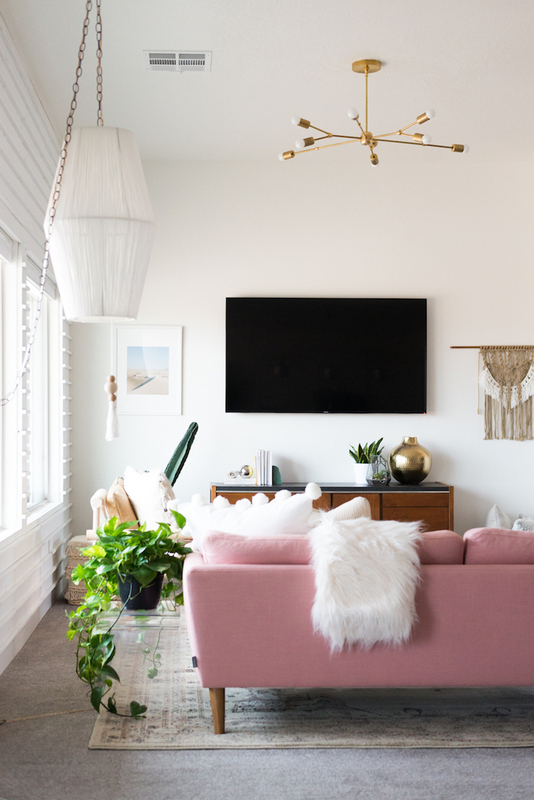 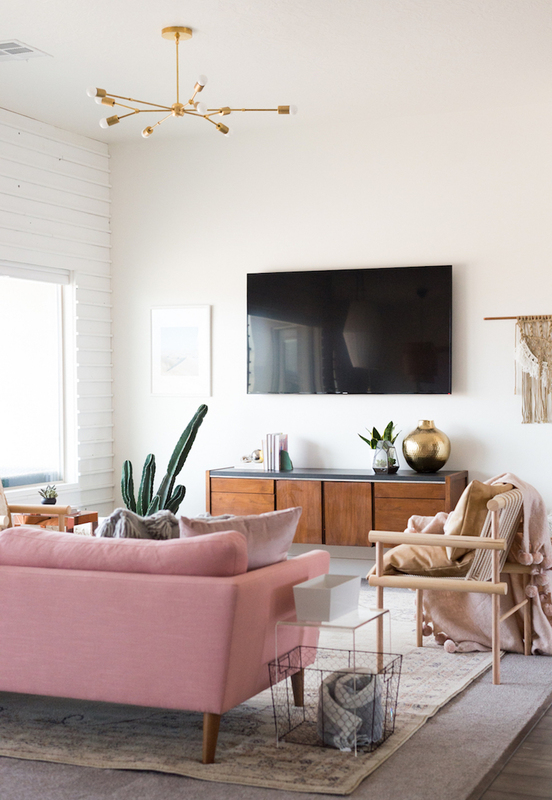 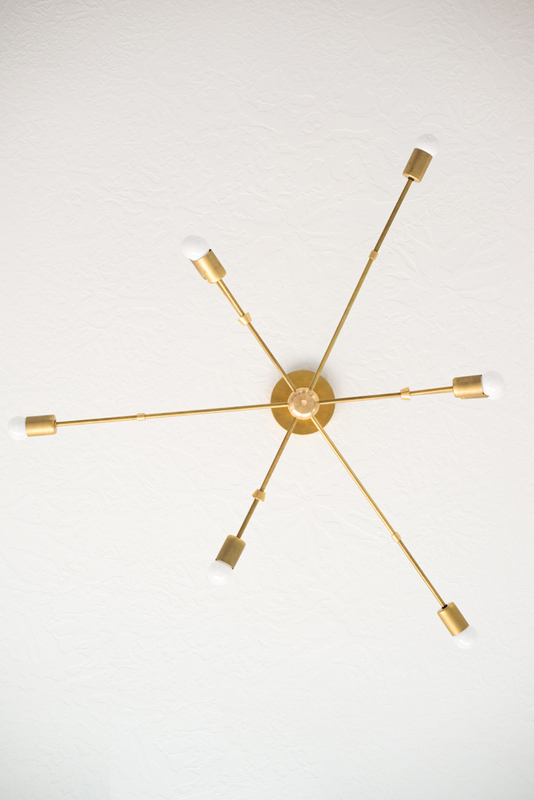 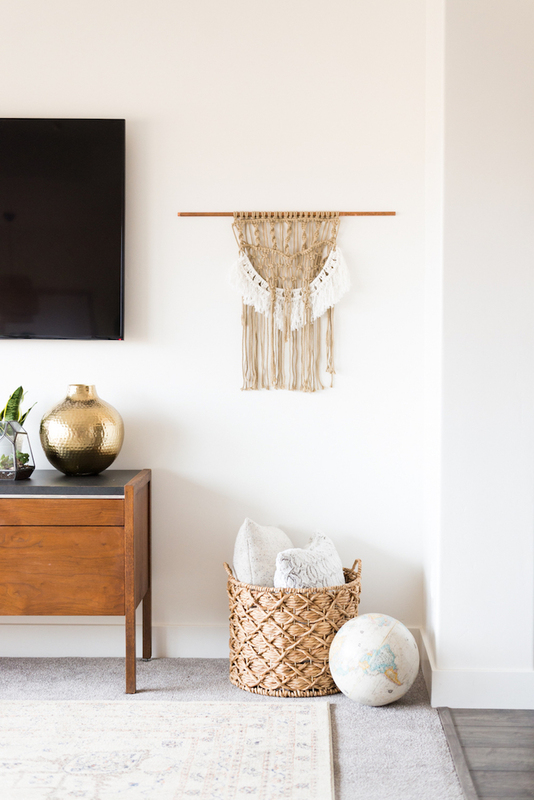 This space was designed by Vintage Revivals for the youtube vlogger Aspyn Ovard. 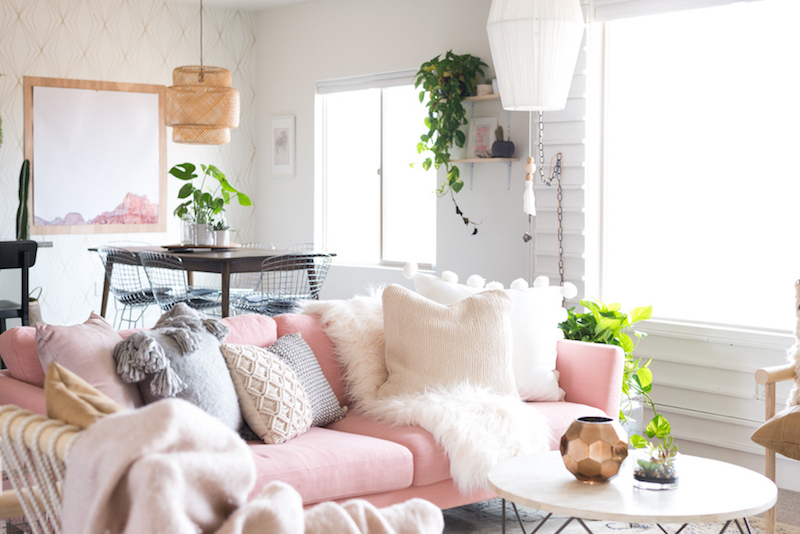 Apparently, her only request was a pink sofa – and how can we blame her? 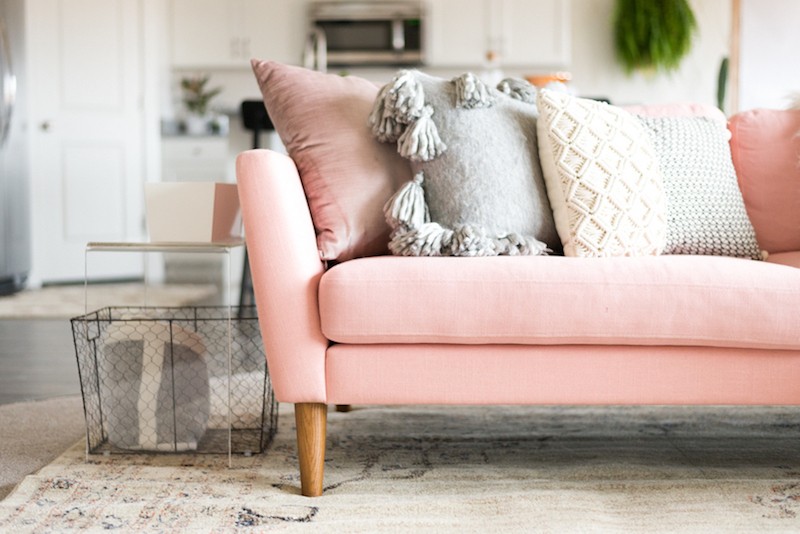 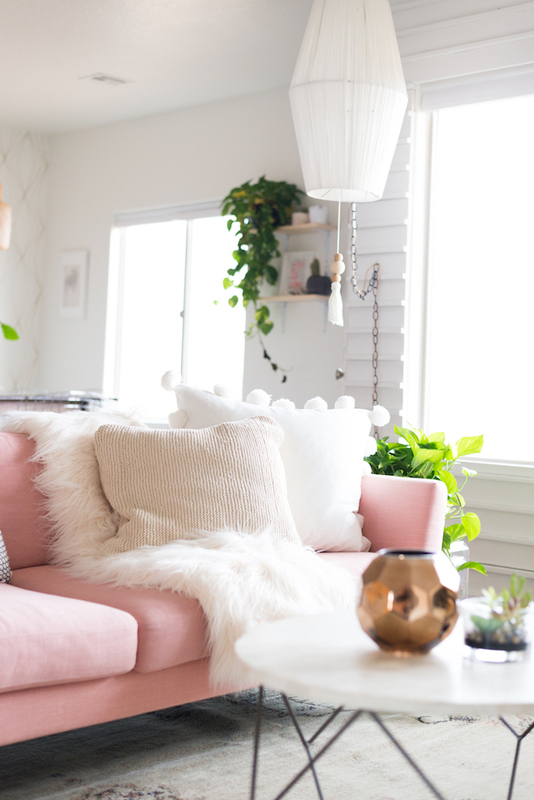 According to Vintage Reivals’ Mandi, any time you have a brightly colored couch, you have to remember it’s the star of the show – and nothing else can steal its shine. 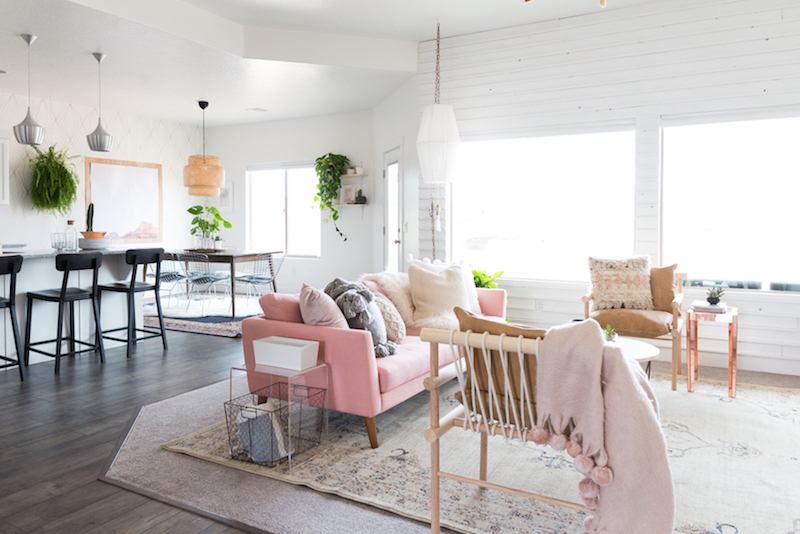 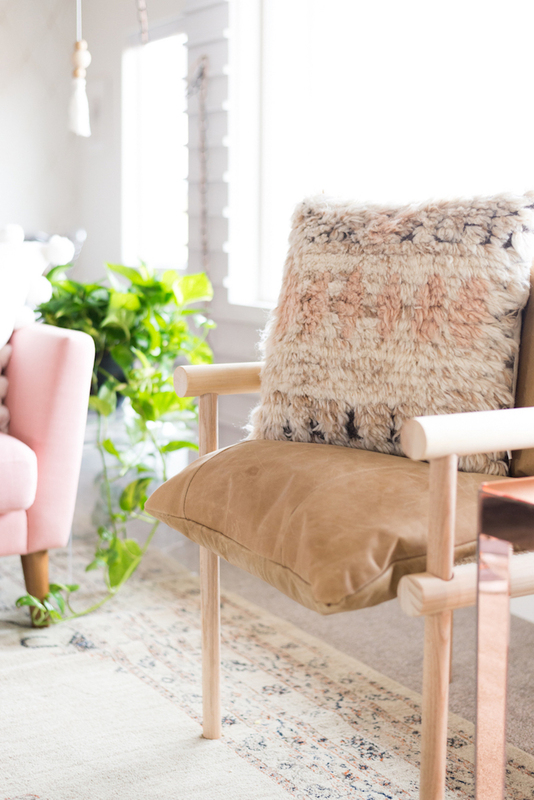 Mandi did a great job curating the look of the living room, ensuring each side chair and throw pillow supported the look of the couch, instead of taking away from it. 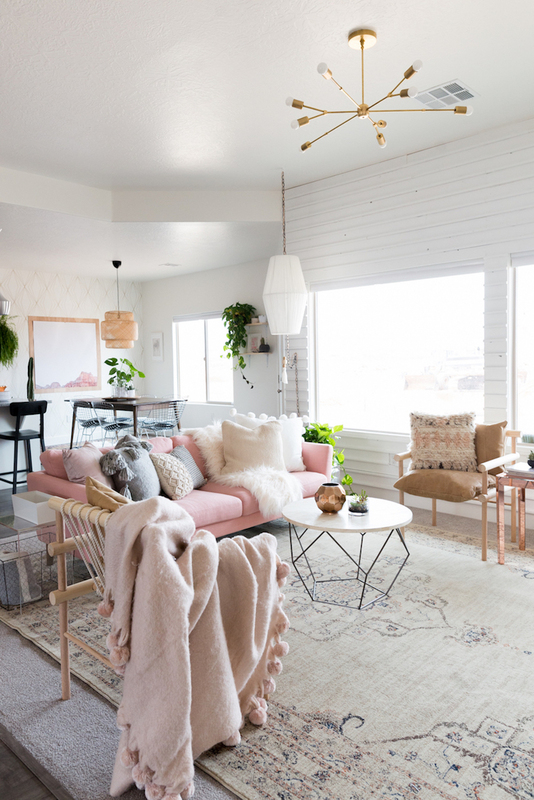 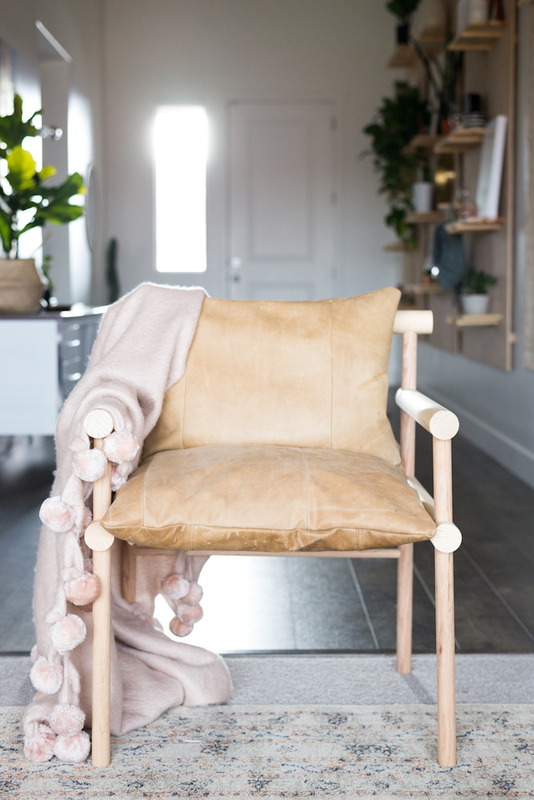 From the white sheepskin throw to the grey puffy pillows to the leather/wood side chairs, each element compliments the room without over-doing the decoration!